A native of Rhode Island born in 1930, John R. Pandolfi began his musical studies on clarinet at the age of 10. He was a scholarship student of Rosario Mazzeo at the New England Conservatory of Music where he earned his Bachelors Degree in clarinet performance. He also received a scholarship to the Tanglewood Music Institute where he performed under conductors Serge Koussevitzky and Leonard Bernstein. He later went on to become principal clarinetist of the New Orleans Symphony Orchestra under Alexander Hilsberg. 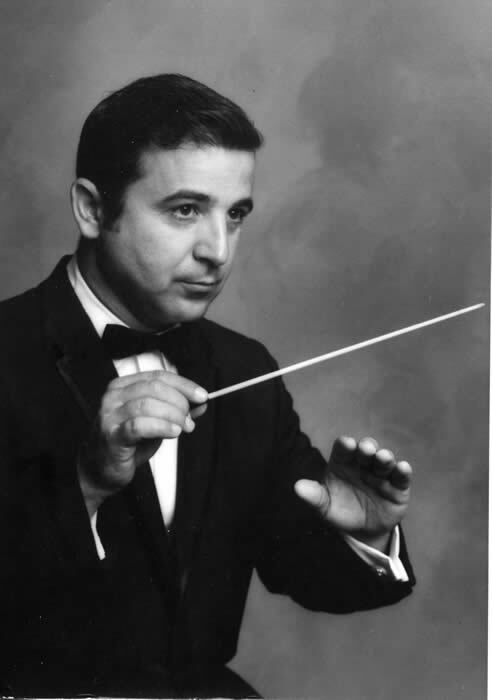 In 1957, after a short professional performing career, Mr. Pandolfi accepted the post of Director of Music at Tabor Academy where he served for a total of 24 years. During that time he led summer town bands in Marion, Mattapoisett, Onset, Barnstable, and Falmouth, and served for several years as the conductor of the New Bedford Symphony. In 1962 he opened the Symphony Music Shop out of his Marion home, moving it to Mattapoisett in 1964 and finally to North Dartmouth, where it operates today. He and his wife Nancy founded the Regional Symphonic Band (currently the Tri-County Symphonic Band), which was comprised of area professionals, amateurs, and talented students. Because of his many contacts in the professional music world, he was able to bring a number of world class professionals, mostly members of the Boston Symphony Orchestra to the area as soloists with his ensemble, the most frequent of whom was the late Armando Ghitala, former principal trumpet of the B.S.O. Mr. Pandolfi retired from Tabor Academy in 1990, and a few years later sold his music store and moved to Whately, MA where he and his wife Nancy currently reside. He continues to teach as an adjunct music instructor at Deerfield Academy while enjoying his four grandchildren. John Pandolfi will be conducting the Tri-County Symphonic Band on October 30, 2011.